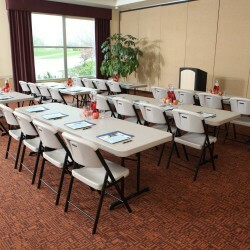 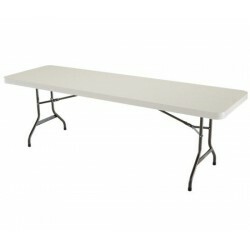 Get a great deal on the best commercial grade tables and chairs sets on the market. 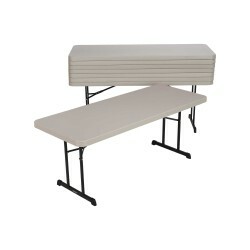 These Lifetime sets come with a 10 yr. warranty; the best in the market! 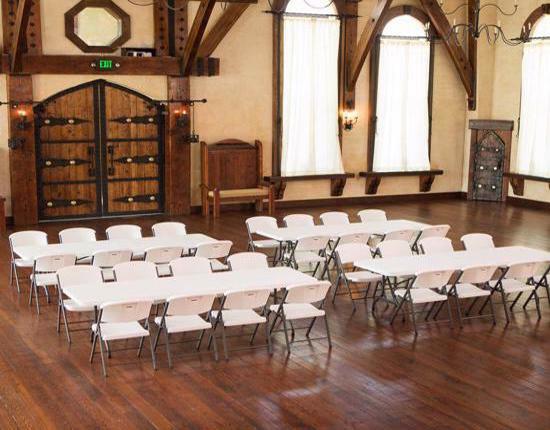 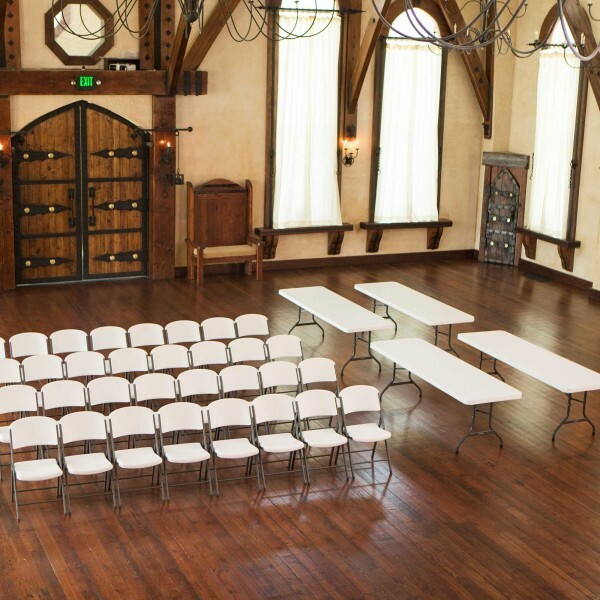 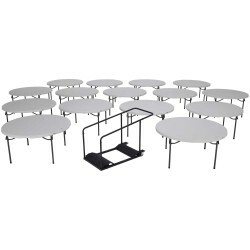 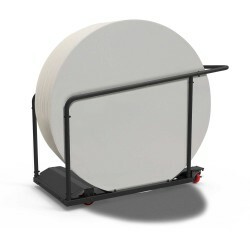 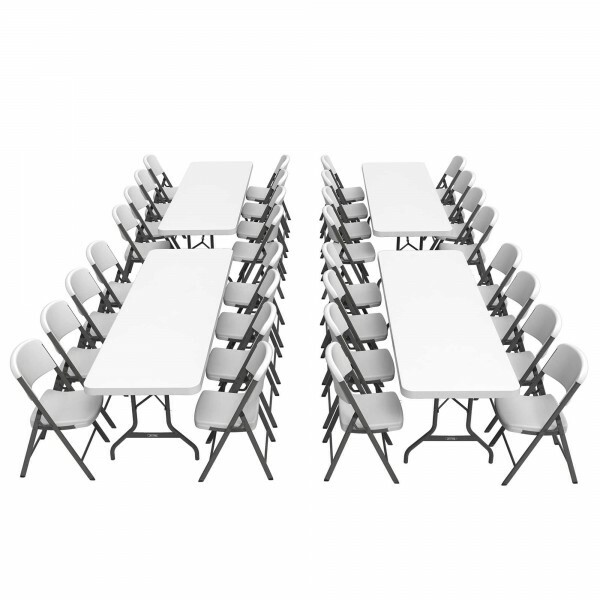 These 8 ft commercial grade folding Lifetime tables with contoured folding chairs provide durable, comfortable accommodations for all of your organization's social events. 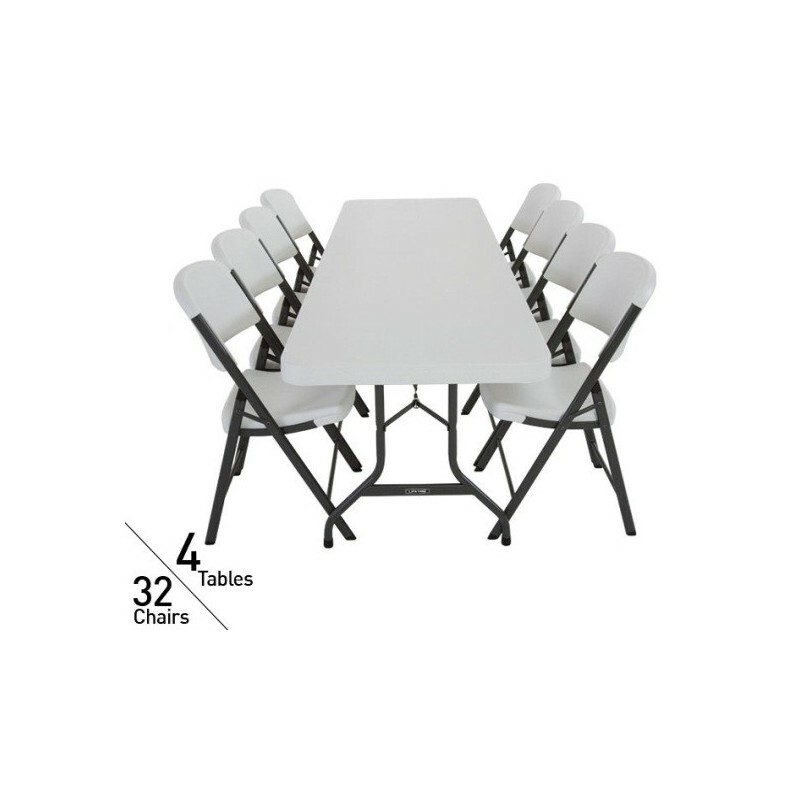 Constructed from high-density polyethylene plastic with steel folding frames, these tables and chairs are built to last and require minimal maintenance. 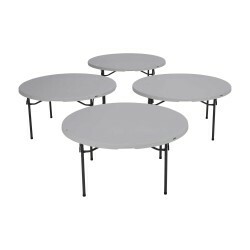 With UV protection and powder coating, they are weather resistant to fading, warping, and rusting so they can be utilized indoors or out. 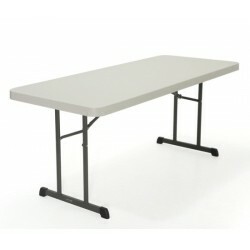 Get a great deal on the best commercial grade tables and chairs on the market. 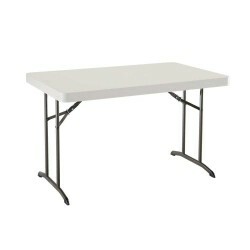 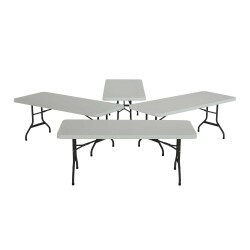 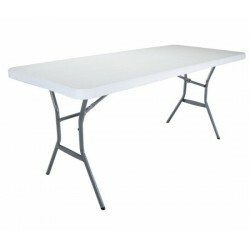 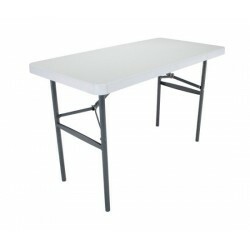 Rectangle Tables and Chairs Combo - Set totals (4) 8-foot white granite folding tables and (32) white granite chairs. 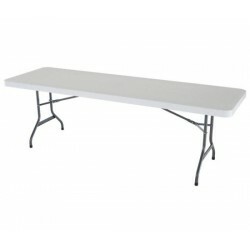 Consists of (1) 42980 4-pack and (1) 82802 pallet 32-pack. 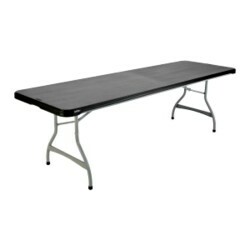 Lifetime 8-Foot Commercial Folding Table (4-pack) - Features a 96 in. 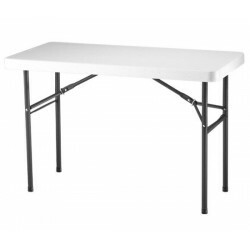 x 30 in. 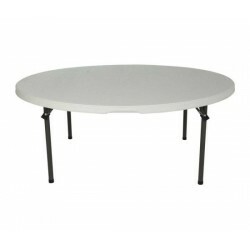 molded tabletop (white granite) with a round folding frame (gray). 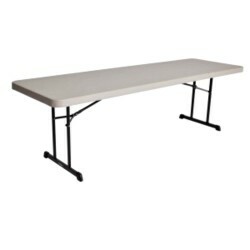 This model comes as a 4-pack with a 10-year limited warranty. 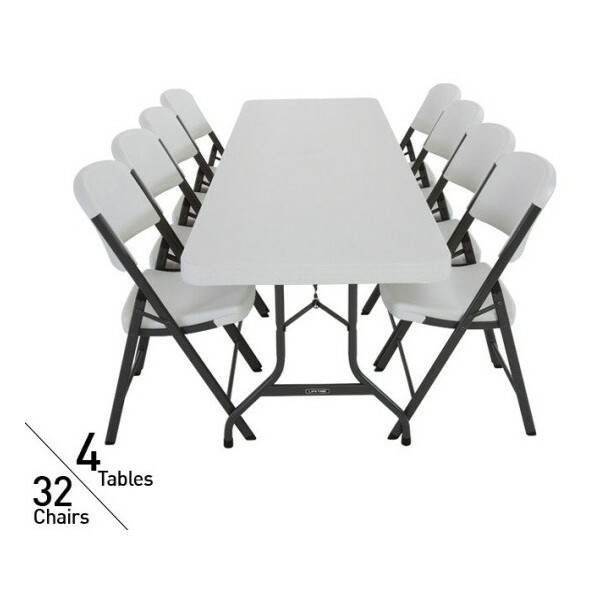 Lifetime Classic Commercial Folding Chair - Features a blow-molded seat and back (white granite) with a steel folding frame (gray). 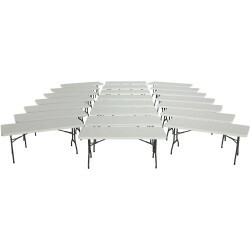 This model comes as a pallet pack of 32 chairs. 10-year limited warranty. 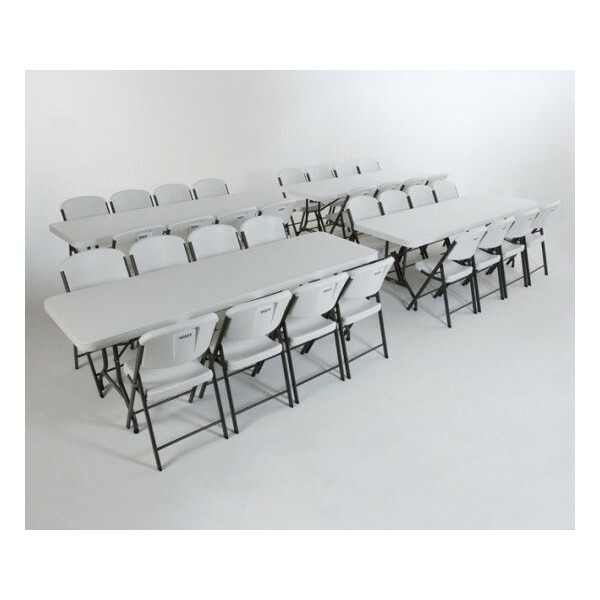 Chair is lighter wtih even more strength and increased performance making it easy to carry and more durable. 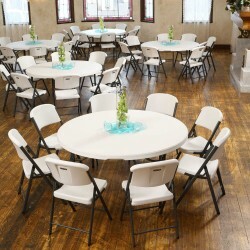 Durable caps prevent floor damage. 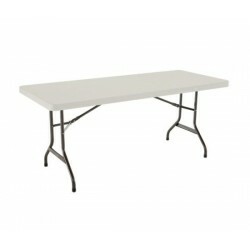 Frame is powder-coated and uses durable steel tubing. 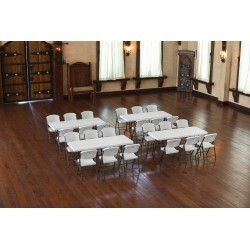 Cross brace inserted into tubing and welded at two points for added durability and strength. 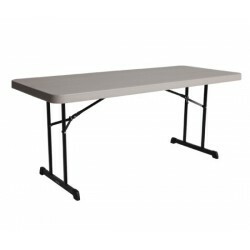 Table is 10% lighter wtih even more strength and increased performance making it easy to carry and more durable.